Even when addressing the most essential items of the wardrobe, Moncler never fails to select the best quality fabrics, constructing them with the same decisive precision used for the most technical sportswear. 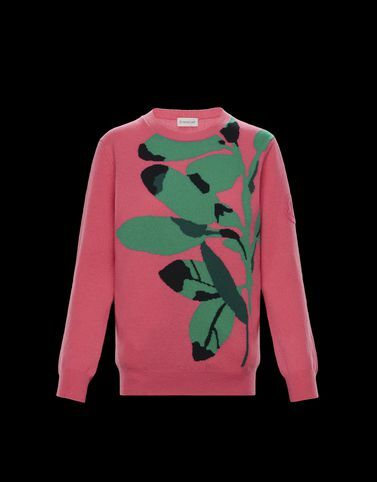 The attention to detail, such as the intarsia-knit oversized tropical flower and the skilful use of wool and cashmere are the sign of excellence. Ideal for a cool evening paired with boyfriend trousers.